Flexible AG Staffing provides many job opportunities in the field of Agriculture and related industries throughout the Midwest. Flexible Ag Staffing hires for agricultural-related industries and companies throughout the Midwest, with positions ranging from professional hires to seasonal planting and harvesting positions. Flexible Ag Staffing staffs for a number of companies throughout the Midwest. Our staff has over 50 years of experience in the staffing industry. Flexible Ag Staffing is a full-service staffing agency specializing in hiring in the agriculture industry. Our team has over 50 years of combined experience in the staffing industry, placing quality workers in a range of agriculture-specific jobs throughout the Midwest. 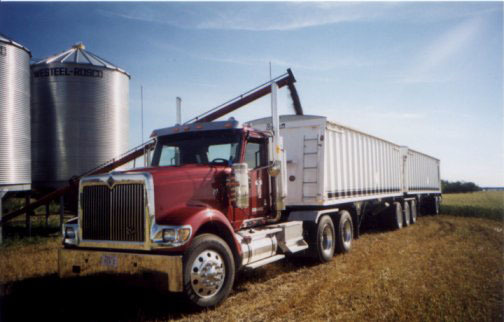 MFA Incorporated has used Flexible Ag Staffing for several years. There is one simple reason – they (Flexible) make it easy. All you do is give them a call, tell them what you need and how much you want to pay the employee and sit back to wait for the person to show up to work. If you do not like the work the employee is doing, you are one simple phone call away from correcting this. Let the Flexible people know you are not satisfied and they will replace the employee – no questions asked. It is really quite simple. People that haven’t dealt with a temporary employee provider in the past are initially put back by the cost of the service – usually there is around a 50% “mark-up” when you receive your invoice. MFA Incorporated has taken the time to compare, side by side, the cost of hiring a full-time MFA employee versus filling a position with an employee from Flexible Ag Staffing. The real cost difference is around $1.00 per hour more to fill the position with a Flexible person than hire a full-timer. On top of all of this – the folks from Flexible really do care about your hiring needs and will do what ever they can to earn and KEEP your business. Flexible Ag Staffing is hiring! Click the the "Apply Today" button to apply, or visit the "Jobs Available" page to view positions.